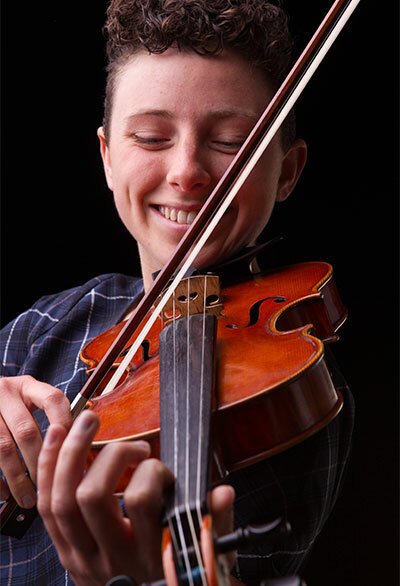 Emily Sheppard studied violin at the Australian National Academy of Music (ANAM) in Melbourne. Her teachers have included Miwako Abe, Adam Chalabi and Peter Tanfield. She is a casual member of ACO Collective and the Tasmanian Symphony Orchestra and has played as a soloist with the ANAM Orchestra and Orchestra Victoria. Her chamber ensemble, ‘Eureka Ensemble’ tour regionally in NSW and QLD, running improvisation workshops for school children and performing concerts, with a focus on programming contemporary Australian repertoire. Festival appearances include MONA FOMA, Next Wave, The Brisbane Festival, Peninsula Summer Music Festival, Panama, Ten Days on the Island and Fractangular.